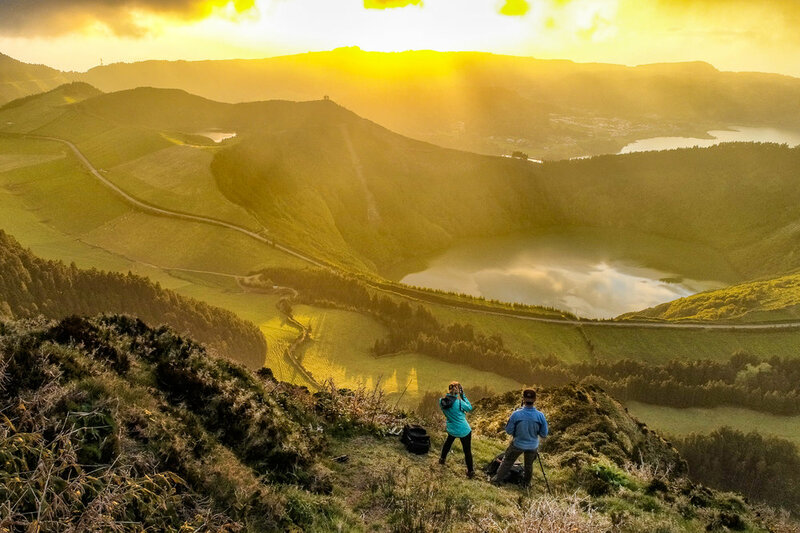 BlueHour's big scouting trip for 2018 was to The Azores islands of Portugal - or, Açores. If you haven't heard, these volcanic islands are called "The Hawaii of Europe." This destination is becoming more and more popular for tourism, as the weather is nice year-round, and is not particularly far from the east coast of the U.S. We spent one week island-hopping across 3 of the 9 major islands: Faial, Terceira and São Miguel. Our first stop was Faial, the smallest island of the 3. We found this island to be the hardest to get to, having to take 3 planes to get there. It is also the most rural. We spent our two days here exploring the perimeter, the Capelinhos lighthouse located on the volcano, and Horta, the marina which in its heyday was one of the most trafficked in the world. Our next stop was Terceira. A little bigger, and certainly not as rural. The houses were beautifully designed and were so colorful. This island was so different than the last. An interesting spot we visited many times was Cha Gorreana, Europe's only working and oldest tea plantation. 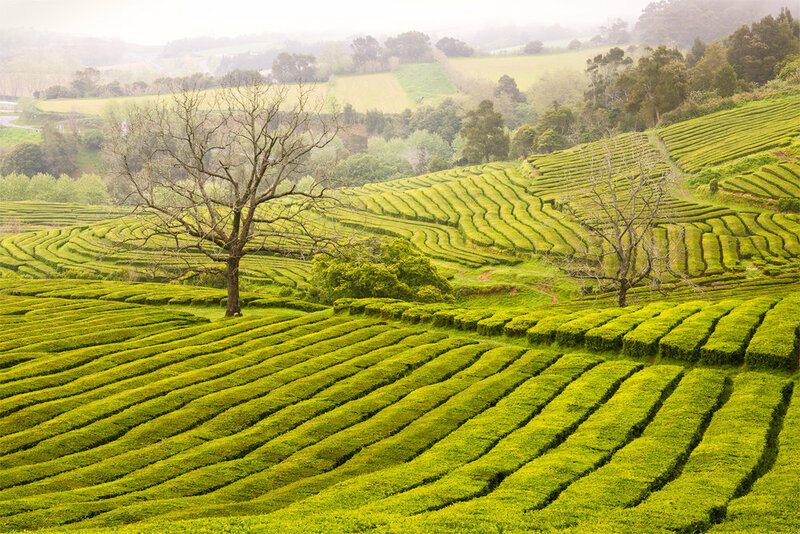 This photo is from the early morning, when the tea hedges were shrouded by fog. The green farmland was very characteristic of this island. We drove to one of the highest viewpoints for this perspective on the pasturelands. The northern coast of the island was mostly obsidian, or lava rock from previous volcanic activity. If you're adventurous, and careful, you can make interesting long exposure photographs of the waves crashing over them. Paul captured a great video using our new drone to show you "how it's made." The city of Angra is also worth mentioning. The buildings are pastel colored, and you can drive to the top of the volcano on the other side to look upon the port city. We found a public park up there complete with a small zoo home to parrots, lots of roosters, and deer. Something else that caught us by surprise is that we arrived in Terceira on one of the days of the "Tourada a Corda," or, Rope Bullfight. This street-style bullfighting is only found on this island during May through October, and takes place in various town squares. Five men hold the rope of the bull while the ends of the street are barricaded off. Onlookers take to any higher ground they can for viewing. The "in-the-street" show allows for spectators to also participate - just make sure you can run fast enough. We had to see this for ourselves. 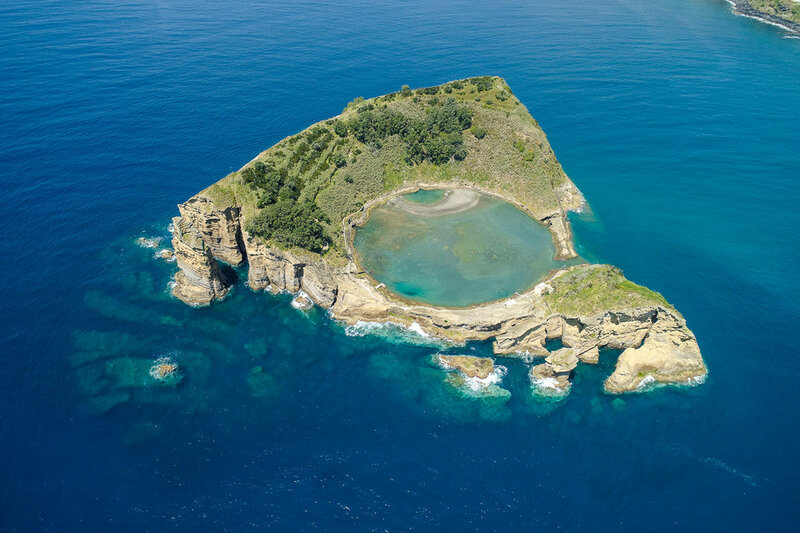 The third and final island, São Miguel was the largest, and the one we were most looking forward to exploring. This island is characterized by large, blue lakes and craters that were certain to make amazing photographs. 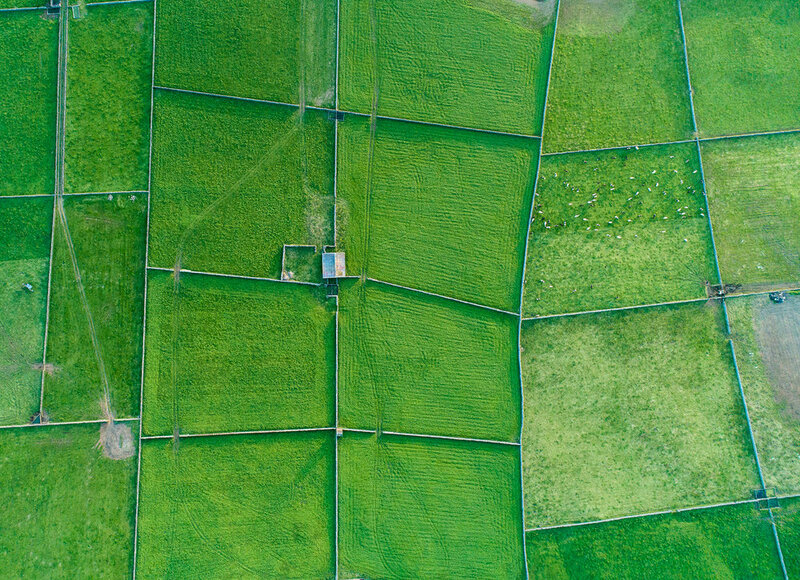 Even though São Miguel is the most populous, you'll still find plenty of farm life and agriculture. The photo that made me investigate this place as a potential destination was one of a seemingly endless hiking path up a mountain over a crater. For some reason, it was extremely difficult for us to find the trailhead to make this photo. There was no real name for this part of the trail, and it wasn't on any official hiking routes. After hiking everywhere but where we needed to be, we finally found it - it was a viewpoint hidden away in the very back of another lake that we were at earlier on our trip. We'll definitely be back, and hopefully with other photographers in tow. The purpose of these scouts is to one day create a photo tour for our students. Azores, we'll be seeing you again!